Access via the New Project wizard: When creating a new project, after loading the images. Selects the coordinate system used for the images' geolocation. 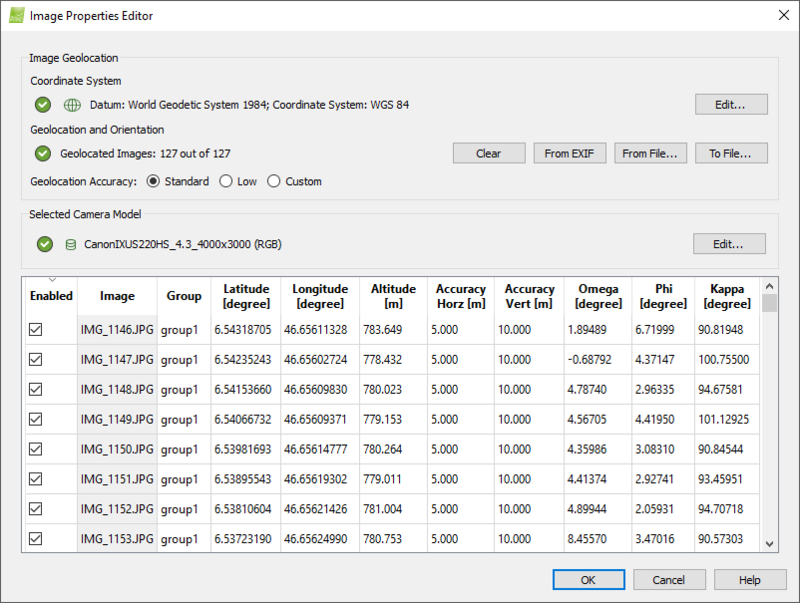 Imports/exports the coordinates and, optionally, the orientation of the images and/or the accuracy of the coordinates. Selects the accuracy of the geolocation. Selected Camera Model: Selects and configures the camera model associated to the images. Images Table: Displays the selected images, as well as each image's group, position, position accuracy, orientation, and if the image is enabled or not (an enabled image will be taken into account for processing).